Remove your sensitive data from the world and save an enormous amount of time and money using our ACH and Paycard Solutions. Check washing and identity theft are skyrocketing for both customers and business owners. Isn’t it time you safeguarded your accounts and removed the data? We can help! It’s simple. Your customers no longer have to write and mail checks every month to pay their bills or buy your product or service. Instead, they pre-arrange to make payments automatically, electronically, and on-time via the safety and security of the Federal Reserve’s Automated Clearing House (ACH). This safe and secure software is designed to create, manage and process those electronic transactions from your computer, website or even mobile device. As an added bonus, you can use the same software to fund employees, independent contractors or even to fund a general spend card. Issue a pre-paid card, free of charge, in lieu of payroll checks or cash and remove your sensitive data. Our system is web based. There are no programming requirements or changes to your current accounting or payroll systems. Payroll Card transactions are safer, faster, and easier than cash transactions. Our reporting allows your staff to simply and accurately answer any questions that arise at any station where the card is accepted. Multiple card types for Independent Contractors, employees, and their families. Card Systems provides secure, remote expense card loading. Just the right amount at just the right time. No need to tie up funds unnecessarily, or to expose your accounts to questionable charges. Provide employees with cards and load the funds only when needed. Cards are re-loadable. Great for employees on the road – meeting with clients – on special assignment – or even to just pick up supplies. 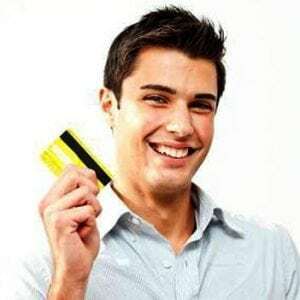 There’s no need to tie up capital in prepaid cards. Load the amount of funds needed and they will be instantly available to employees, even if they are thousands of miles away. Don’t tempt employees with unnecessary cash. Provide just what’s needed, when it’s needed, and monitor all expenses from your desk.